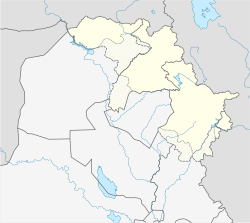 Sulaymaniyah (Kurdish: سلێمانی Silêmanî; Arabic: السليمانية‎, as-Sulaymāniyyah), an aw cried Slemani, is a ceety in Iraqi Kurdistan. 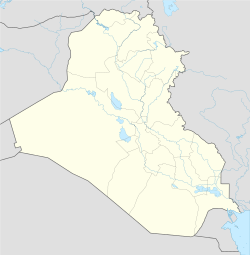 ↑ "Iraq: Governorates, Major Cities & Urban Centers - Population Statistics, Maps, Charts, Weather and Web Information". www.citypopulation.de. ↑ "Sulaimani Polytechnic University". spu.edu.iq. 2015-06-13. Retrieved 2015-06-13. This page wis last eeditit on 21 Mairch 2019, at 19:56.